TRS is a leading innovator and full-service provider of new, used and refurbished intermodal equipment. As innovative new models are engineered to meet unprecedented applications and designs, we can usually supply our clients quickly. 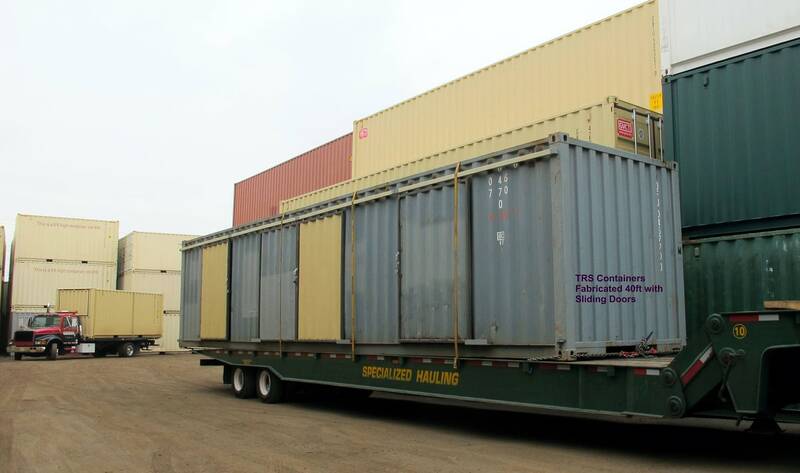 If the container is not part of current inventory, we will source it. 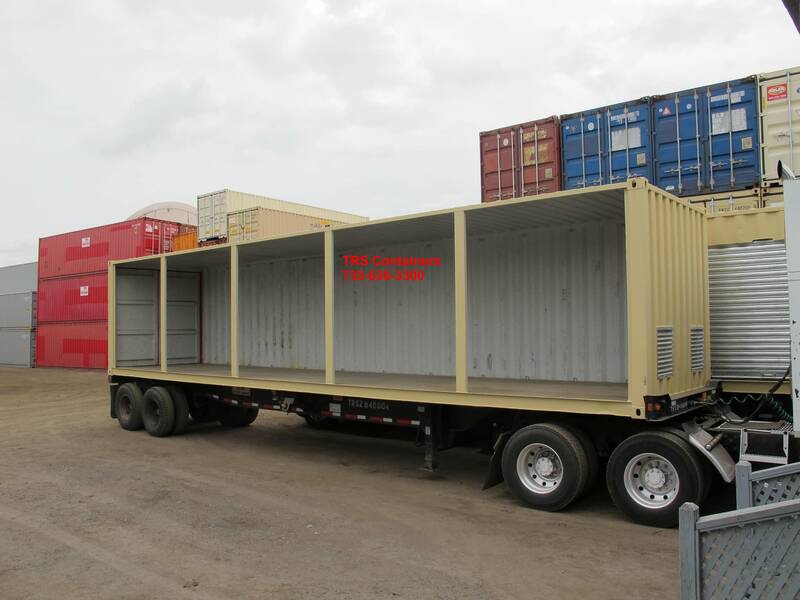 Specialized containers such as 40ft Highcube Opensides. Units are manufactured with 2 doors on one 8ft end and one full side has fold back accordion doors. 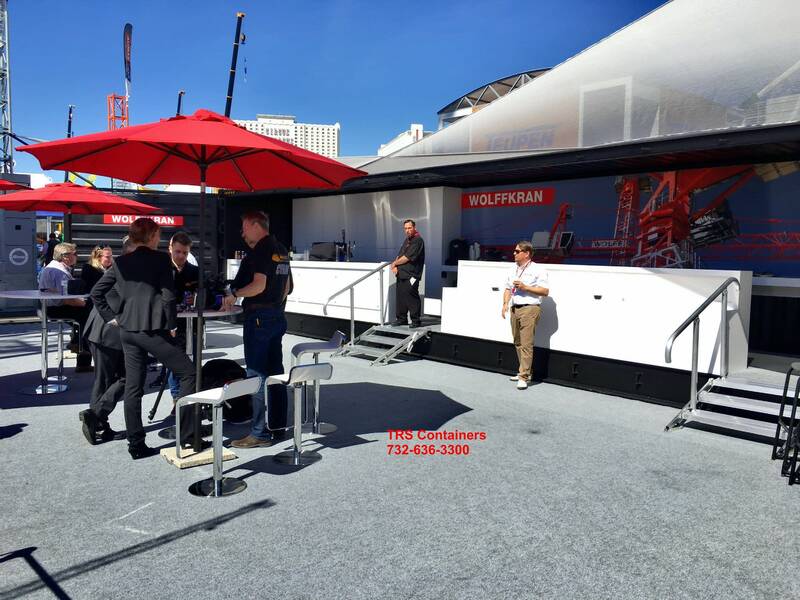 TRS works with Architects and Designers to convert this specific model into environmentally friendly and economical event space, pop-up kiosks, portable galleries and bars. 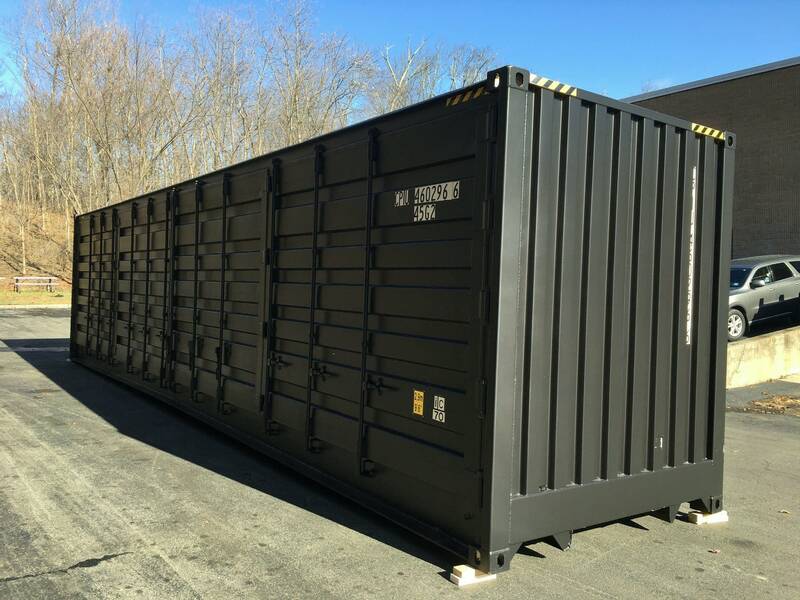 Our Commercial and Industrial clients have experienced the benefits of this model for rapid installations of power systems, water filtration systems, highly secure and mobile construction storage facilities. Additional 9’6” height allows for Generators, Battery Packs and Power Systems. Corner castings blocks for easy lifting and repositioning. One full side opens to allow loading of extra-long materials. 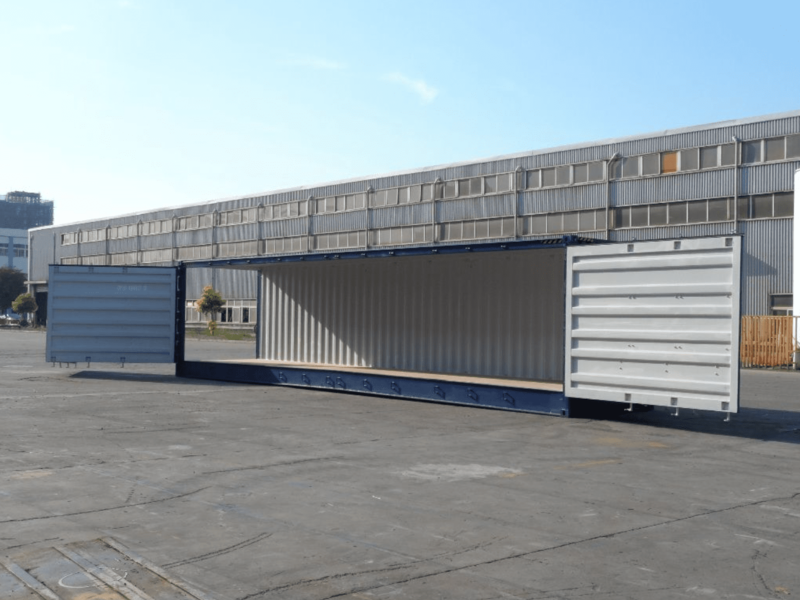 One full side opens so the container converts into a bar or event space. Side accordion doors that fold back for full side access. Two swing doors on one end for quick access to interior space. 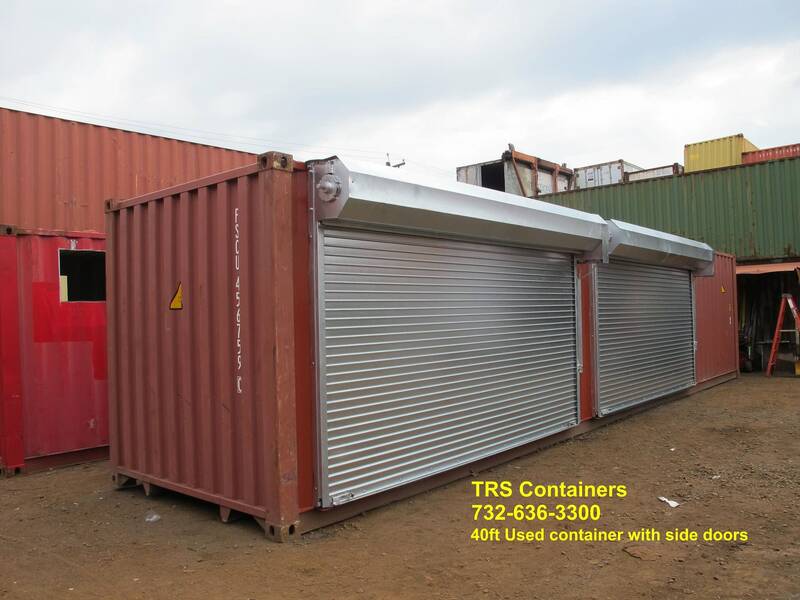 TRS offers economical options in lieu of purchasing a New container. 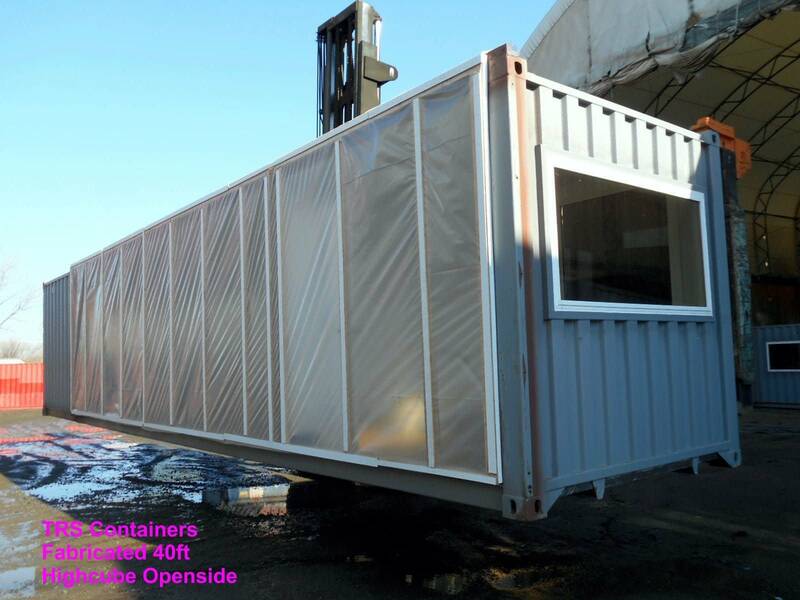 Take a used highcube container and install roll up or swing out doors in the side. Not engineered to function as a true openside for export, but the cost is less and much of the convenience is there.